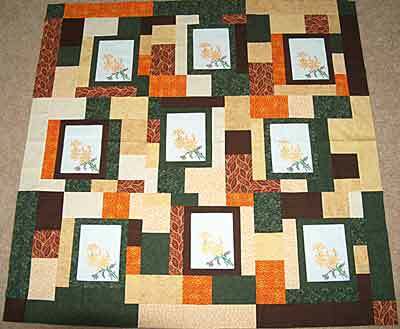 Hope you enjoy the pictures of my vintage quilts. Mother had made 8 napkins and I made a copy from one of them to make the 9th block. 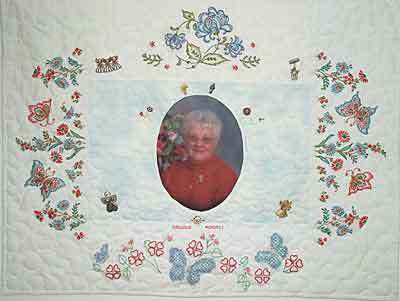 I am also sending you a picture of the quilt I made from her embrodiered pillowcases that I cut up and used for the borders around her picture. 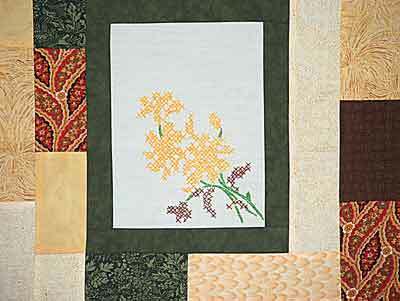 You may decide to use up some of your heirlooms the same way.